I love sushi. I've loved sushi for years and yearsss. My favorite kind of sushi? When it's deep fried. 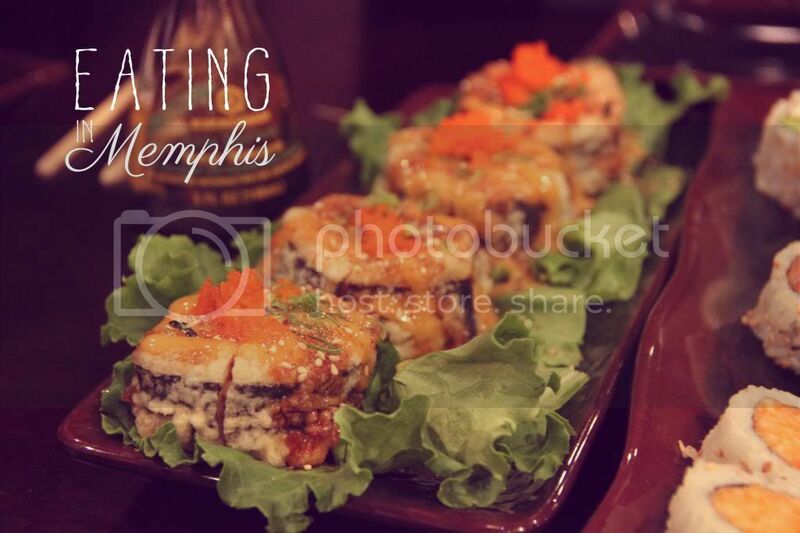 Imagine my excitement when I saw that there was deep fried sushi on the Eating in Memphis List! The Joyce Roll at Sakura definitely did not disappoint. It was crawfish, shrimp tempura, avocado, sauce, and roe alllll deep fried. It was delicious! Definitely something I would order again (and again and again). Shut up YUM! I will definitely hit that up next time I'm in Memphis!!! Ohh man looks soo good! YUM! That looks so good, I love deep fried sushi as well!